What is teamwork? There are several ways to define teamwork but why not think of it as the French do. The French language has an excellent expression to describe it: esprit de corps. This means a sense of unity, of enthusiasm for common interests and responsibilities, as developed among a group of people closely associated in a task, cause, enterprise. Teamwork can be likened to two compounds, almost essential to modern life. It’s the glue which keeps a team together, a bond which promotes strength, unity, reliability and support. The oil that makes the teamwork. It can enable smoother movement towards targets, can prolong forward momentum, and can help teams to overcome obstacles. It has the potential to underpin so much of what is valuable in work. In fact, the benefits to be gained from teamwork synergies are essential for the effectiveness of a person. Here at Chilcotin Holidays you quickly learn that your role within the ranch is part of a greater and larger picture, everything you do is like the small cogs that turn the bigger pieces. 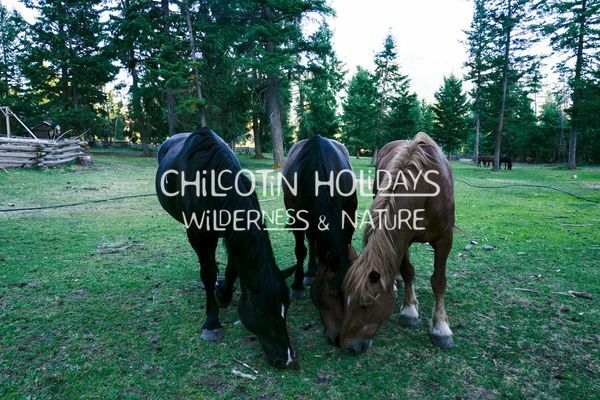 Everyone at Chilcotin Holidays has many common interests, Wilderness, horses and being in touch with nature. With these common interests we unit together, helping each other from cleaning the ranch, cooking, helping with the pack trips. We see the importance of teamwork at Chilcotins Holidays and promote it so we all achieve not just our common interests but also build our own individual skills learning vital lessons and key skills that can be transferred into any situation across the world.